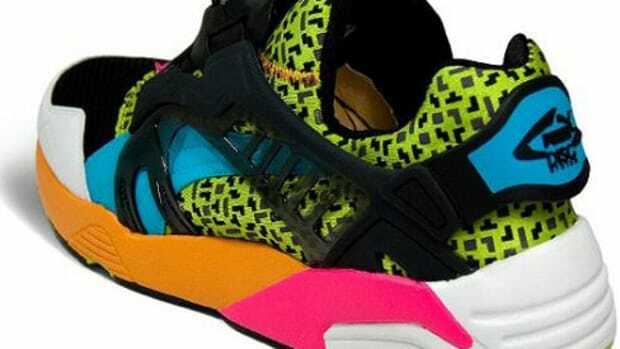 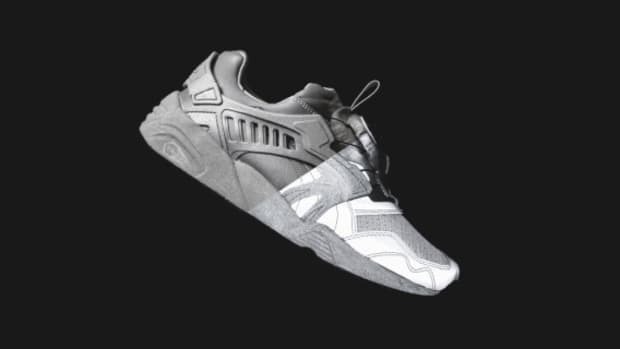 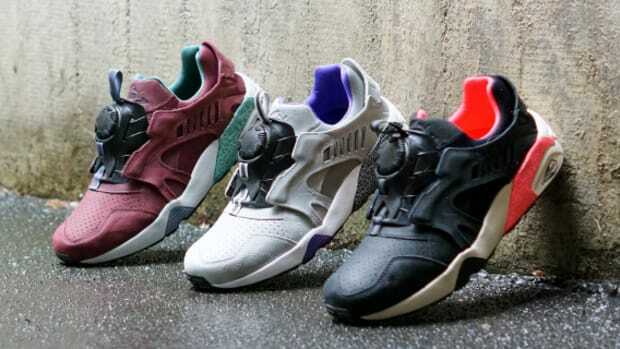 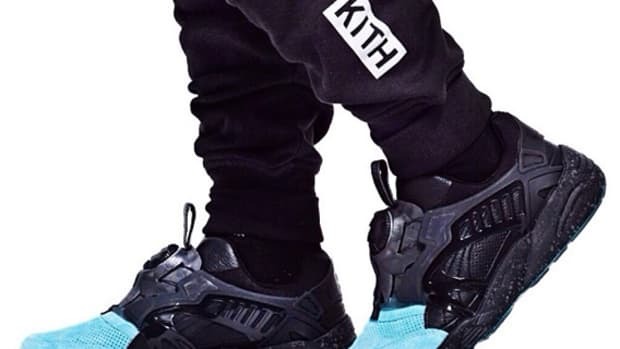 Known as the "Leather Cage" edition for its leather foamstrip and heel counter, the PUMA Disc Blaze will be going through some interesting alterations come 2014. 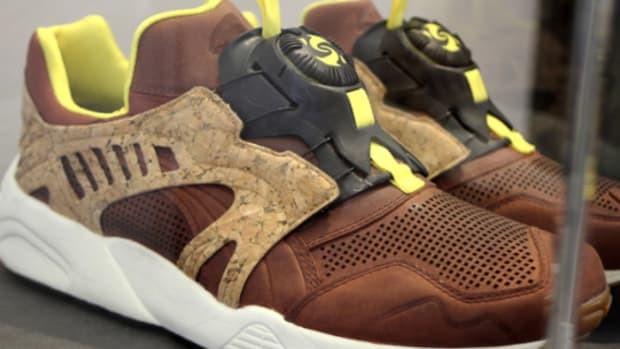 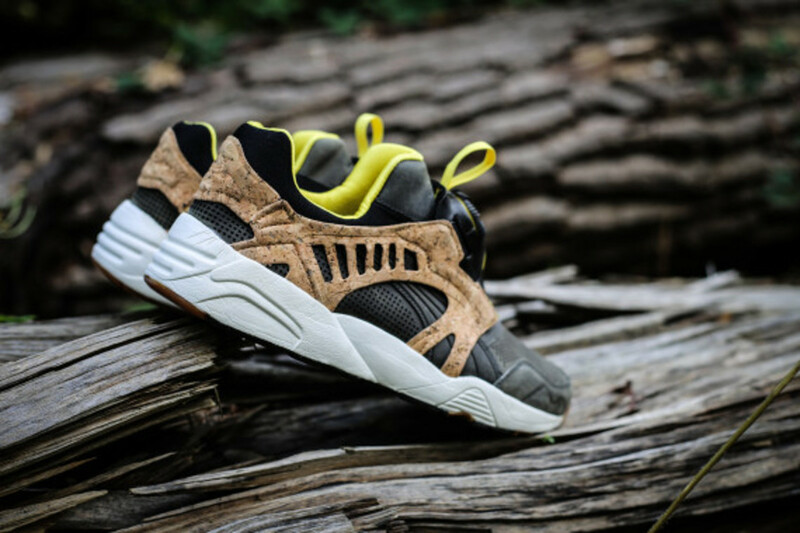 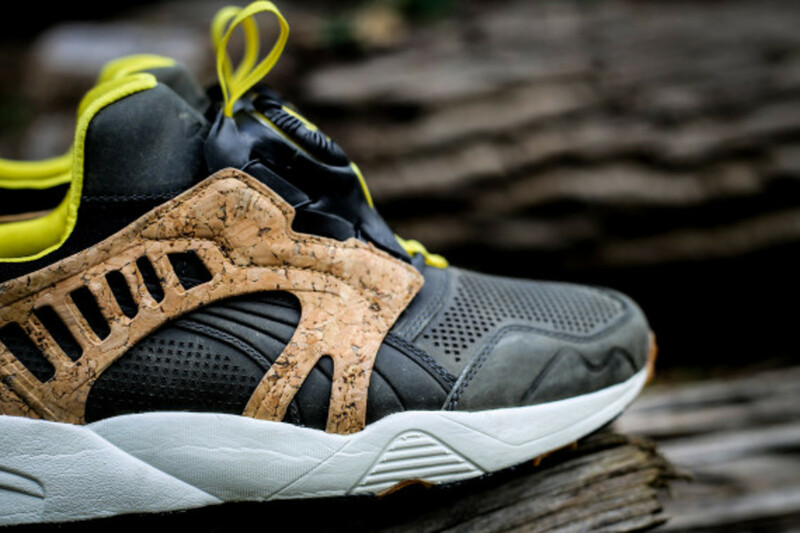 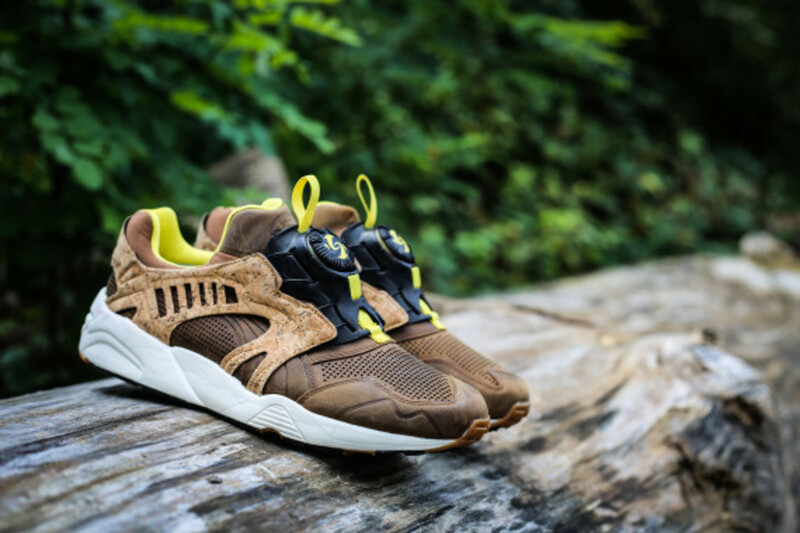 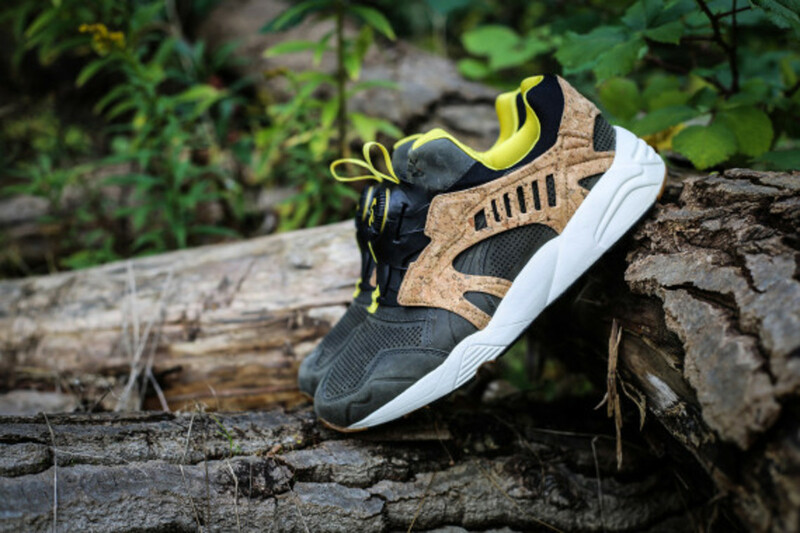 In addition to the perforated leather upper, Neoprene collar, and the PUMA Disc Closure System, designers swapped out the leather overlays with ones made of natural cork that not only give the design some resiliency against the elements, but a "handcrafted look". 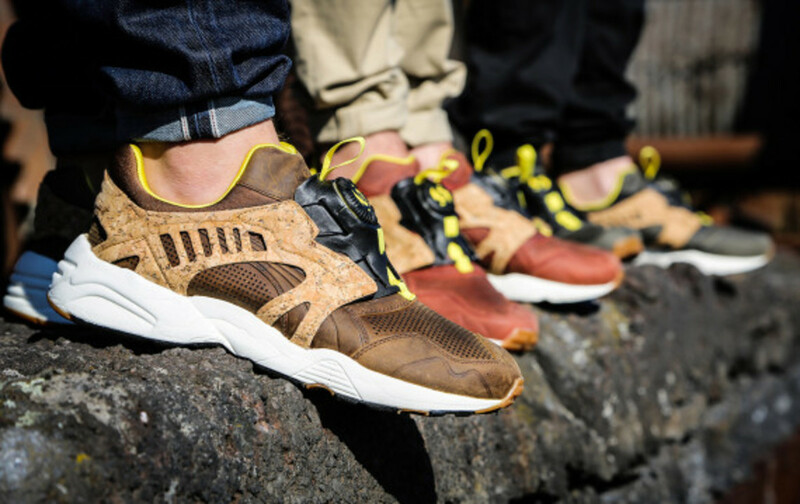 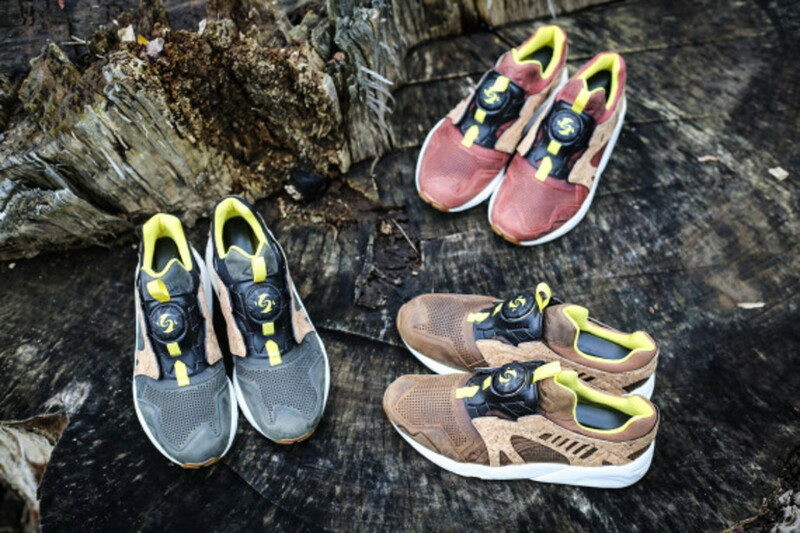 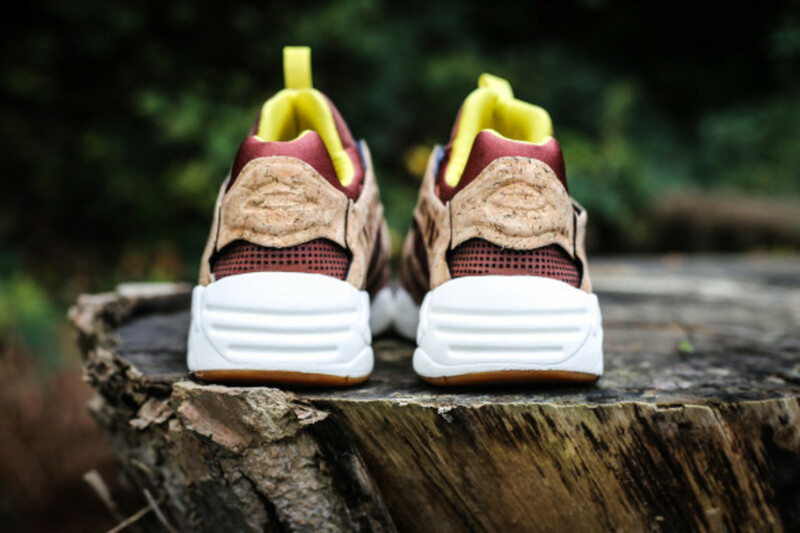 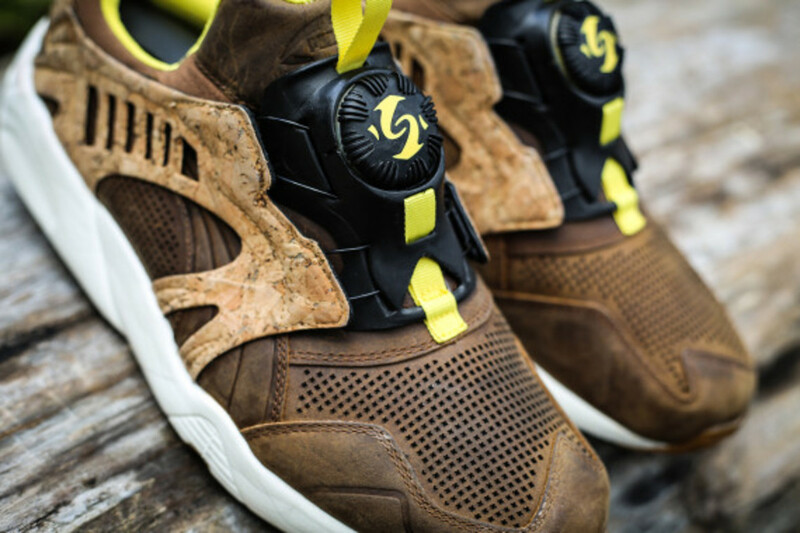 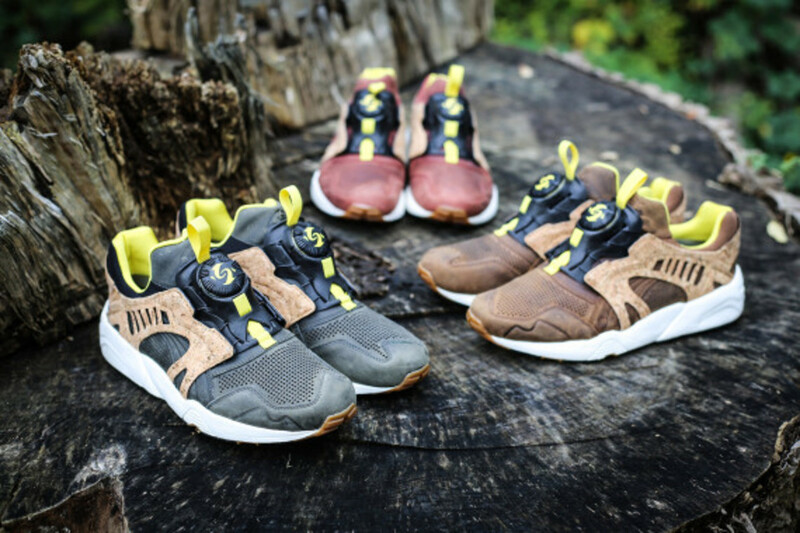 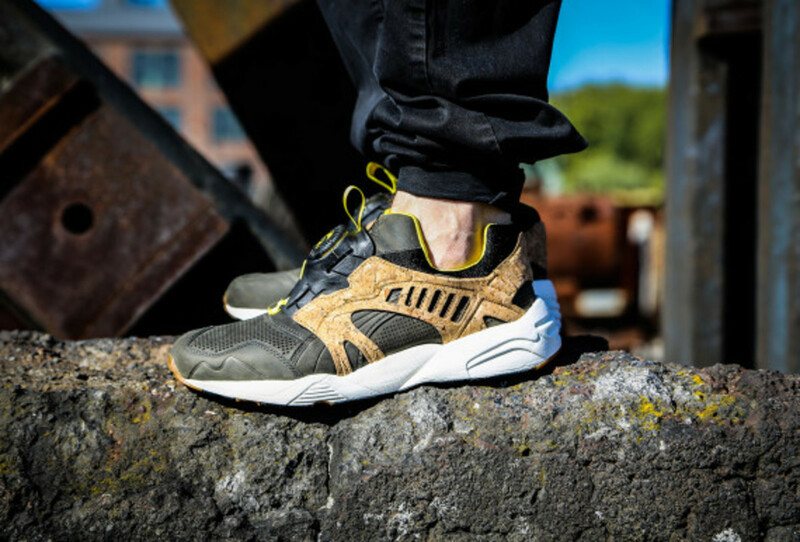 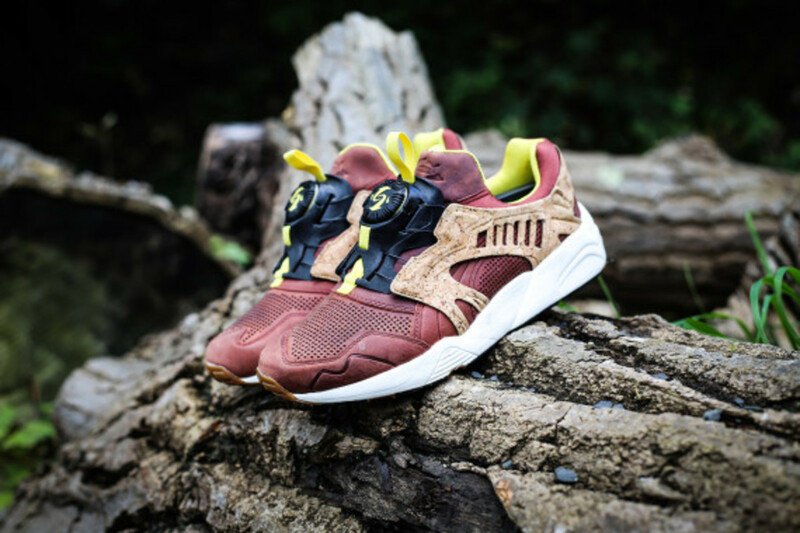 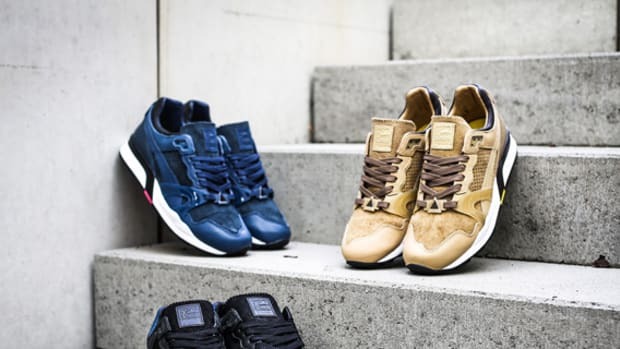 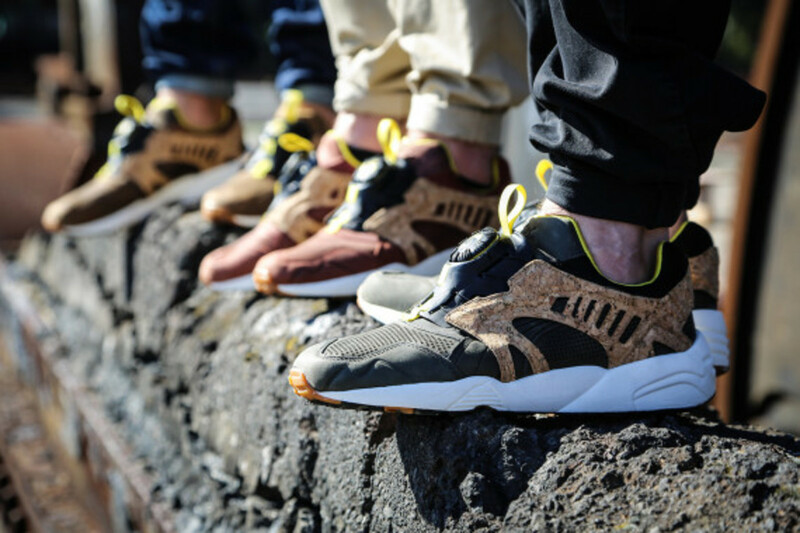 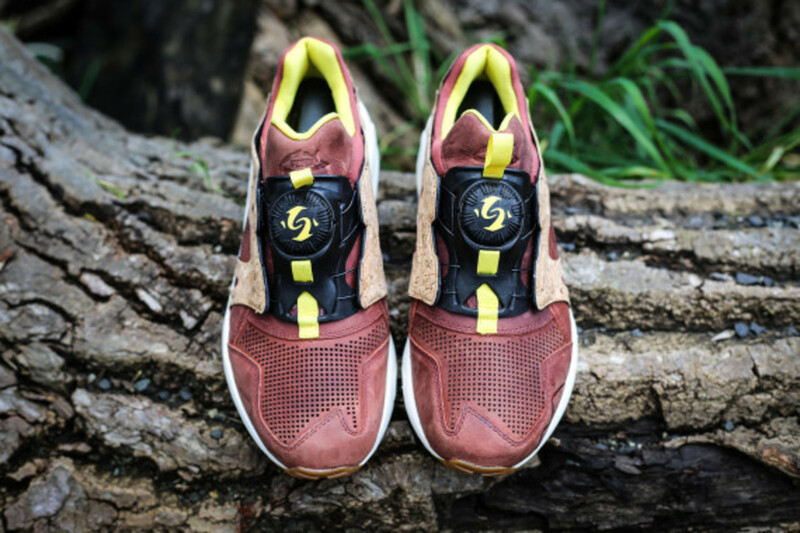 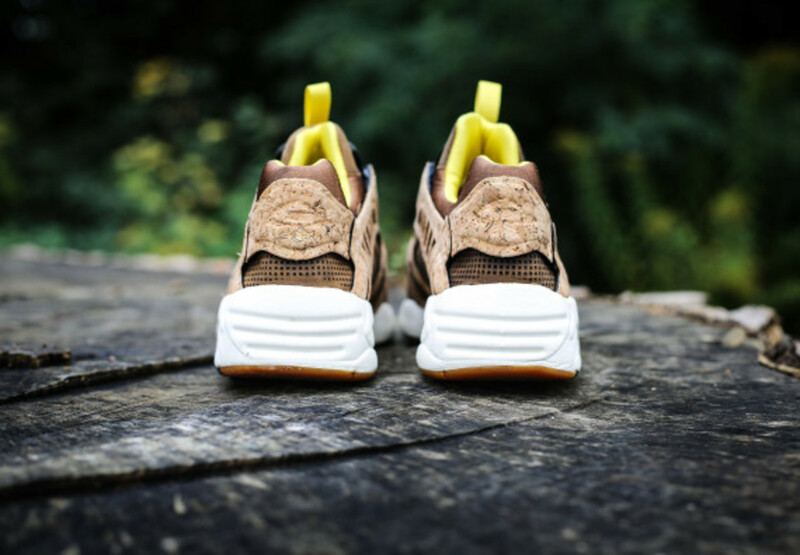 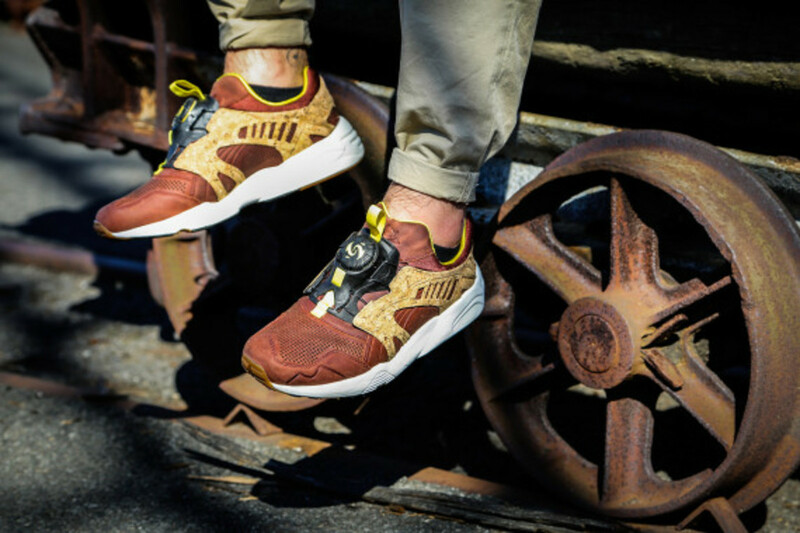 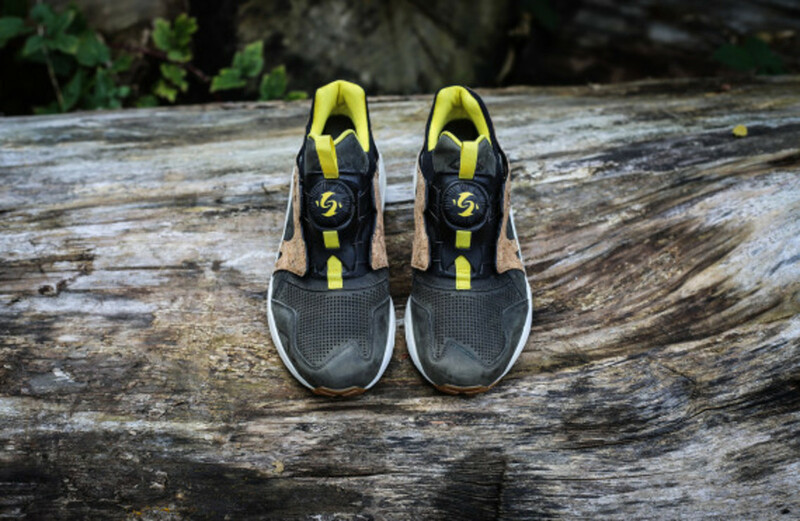 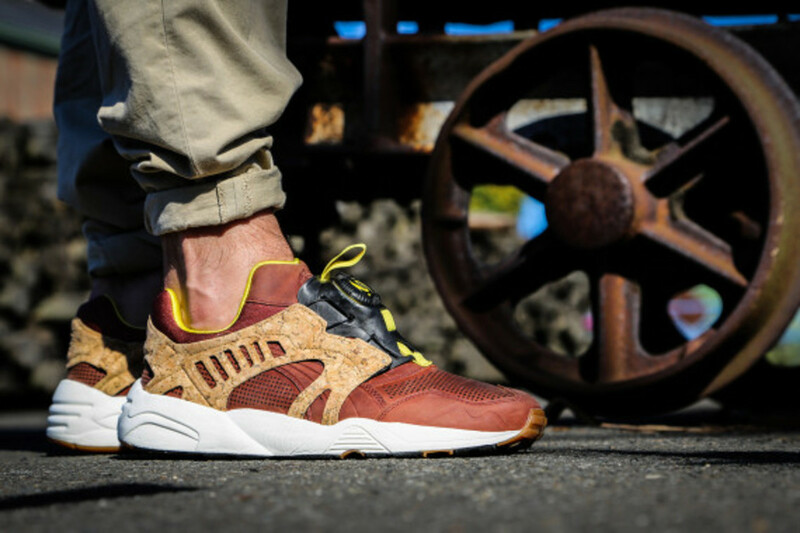 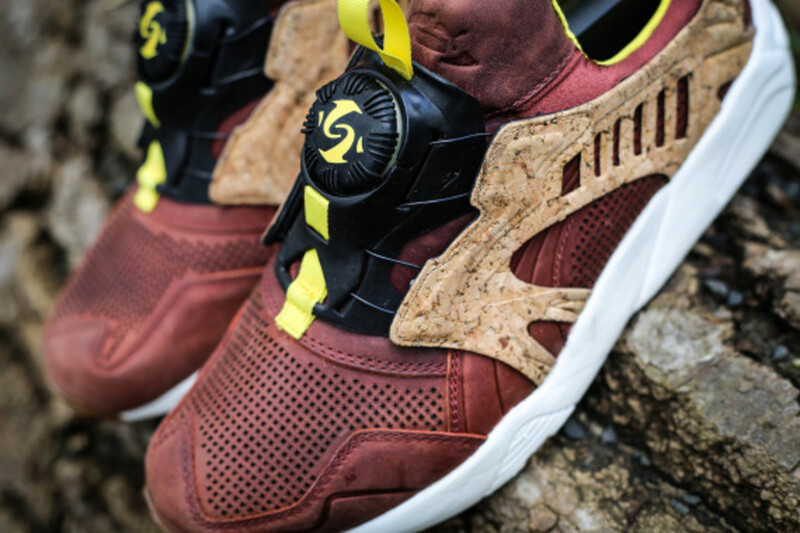 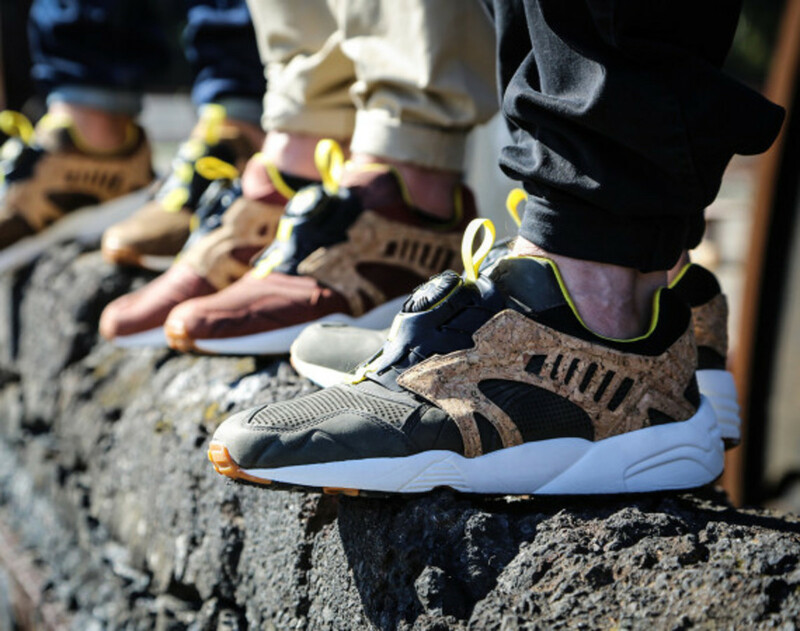 Designated as the Crafted Pack and available in three earth-tone colorways, PUMA Disc Blaze Leather Cage - "Crafted" Pack will go on sale at select PUMA retailers worldwide, including Overkill of Berlin, on Monday, January 13, 2014. 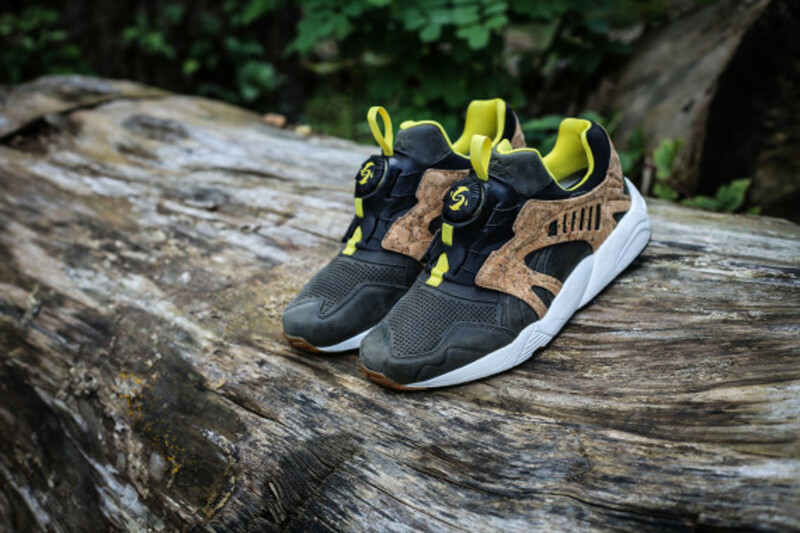 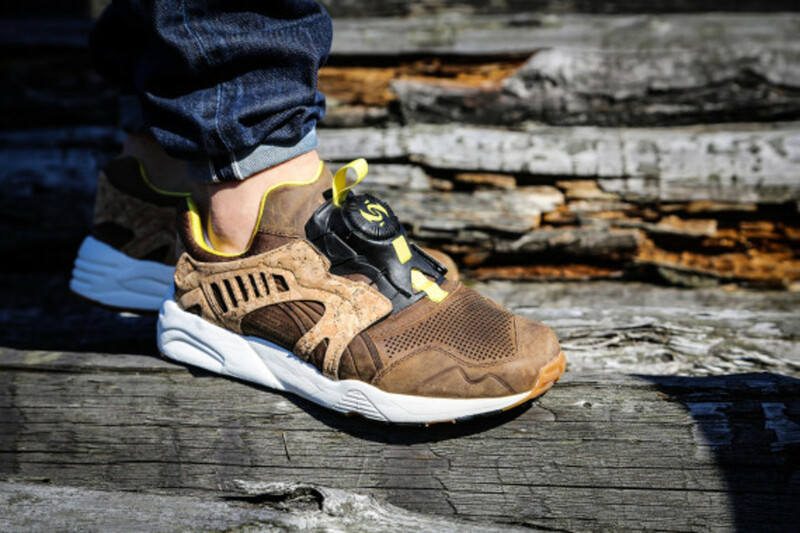 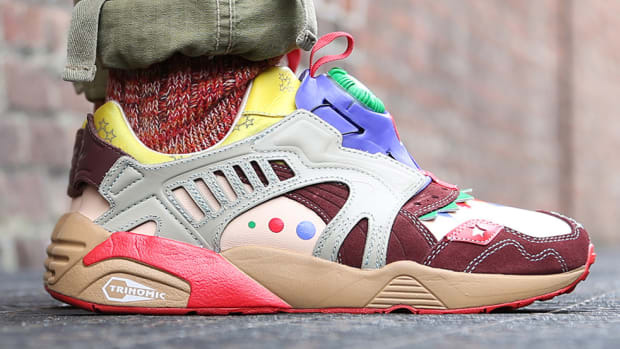 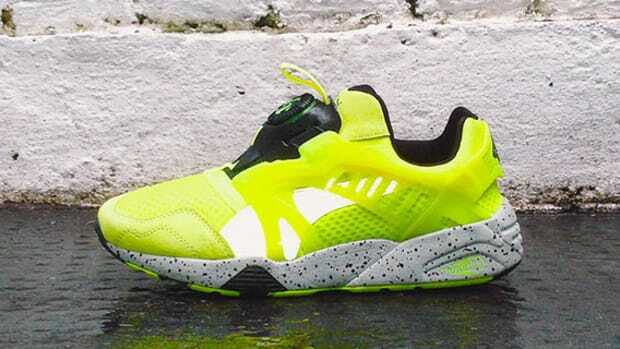 PUMA Disc Blaze "Crackle Pack"